Opens New Facility in Portland, Ore.
GREEN BAY, Wis. and PORTLAND, Ore. -- Schneider National, Inc., a premier provider of transportation, logistics and intermodal services, today unveiled its new, state-of the-art Operating Center (company-owned truck stop) in Portland, Ore. Schneider expanded and relocated from its previous facility in the state with the help of a $610,000 financing package from the Portland Development Commission (PDC). Representatives from Schneider National and the PDC celebrated the grand opening with an official ribbon-cutting ceremony today at the new facility located at 12986 N.E. Whitaker Way in Portland. 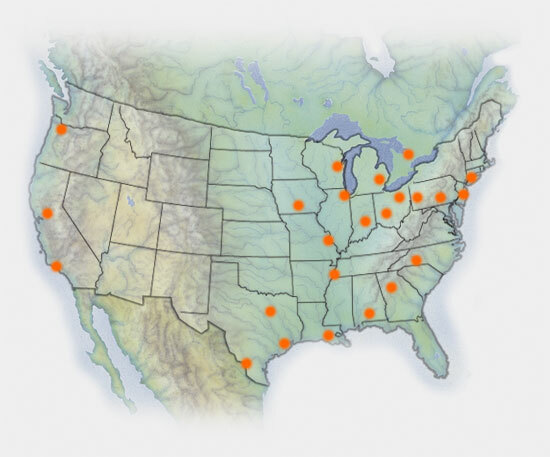 The Operating Center serves as a regional hub for more than 450 Schneider drivers living in the West, including drivers in Oregon, Washington and California. Schneider worked closely with the Portland Development Commission to utilize the organization's Quality Jobs Program and Economic Opportunity Fund which are designed to encourage quality job growth and the investment in targeted industries in urban renewal areas. "After 20 years in our former location, it became necessary to expand operationally to better support our drivers' needs, and the company's hiring efforts and training programs," said Todd Jadin, senior vice president of operations at Schneider National. "We have a long-standing relationship with the city of Portland, and the generous support from the PDC enabled us to create a more comfortable, easily accessible facility for current and future drivers. It is an honor to expand our Operating Center network with this location." "We are delighted to welcome Schneider National's Oregon facility to a new location in the Airport Way urban renewal area," said Bruce Warner, executive director of the Portland Development Commission. "The company's significant investment in an operations facility for transportation and logistics, leveraged by the PDC's combined Quality Jobs Program and Economic Opportunity Fund financial package, will help achieve city goals for job creation and retention." Schneider National's new Operating Center will provide company drivers and owner-operators with an array of amenities including laundry facilities, food service, Internet access, equipment maintenance and fuel. Services will be available 24 hours per day and the new Operating Center also offers office space for recruiting and for training on the company's innovative driver simulator. On average, approximately 100 drivers per day will come through the facility. The PDC was created by Portland voters in 1958 to serve as the city's urban renewal agency as laid out in Chapter 15 of the city's Charter. The PDC provides comprehensive housing, development and economic development programs within the Portland region. Schneider National, Inc. is a premier provider of truckload, logistics and intermodal services. Serving more than two-thirds of the FORTUNE 500¨ companies, Schneider National offers the broadest portfolio of services in the industry. The company's transportation and logistics solutions include One-Way, Intermodal, Transportation Management, Dedicated and Bulk. With wholly owned subsidiaries Schneider Logistics, American Port Services and American Overseas Air Freight, Schneider National is the only truckload carrier to offer customers end-to-end domestic and international logistics solutions. Headquartered in Green Bay, Wis., Schneider National has provided expert transportation and logistics solutions for more than 70 years. A $3.5 billion company, Schneider National conducts business in more than 28 countries in North America, Europe and Asia, and continues to grow its international service offerings. For more information about Schneider National visit www.schneider.com or call (800) 558-6767. Nation's Largest Truckload Carrier Hosts Grand Opening of New Facility in Portland, Ore.